- Remind each other of Allah (SWT) when you set eyes on each other. 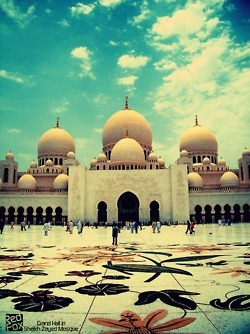 - Leave each other’s company with a higher level of imaan [faith in Allah (SWT)]. - Inevitably start the conversation with the Islamic greeting ‘As-Salaamu Alaykum’, and receive the masnoon reply for it. - Do the masnoon mu’aanaqah (hug) and musafahah (handshake) on a regular basis. - Almost always mention Allah (SWT), Noble Qur’an, Ahlul Bayt or Hadith in some context or the other, in your conversations. - Strengthen each other’s belief on the Hereafter. Give each other more duaa’s (well wishes) than material gifts. - Always end up exchanging useful and mature ideas and thoughts. Love each other above and beyond worldly benefits. - Attend religious study-circles/ halaqah’s together. Have prayed salaah together many times. - Have watched each other cry, out of love of Allah (SWT) or out of regret for committing a transgression. - Listen attentively if the other is saying something that pleases Allah (SWT). - Politely point out and reform each other’s mistakes or bad habits in the best way possible. - Return an Amanah (item placed in other’s trust/safekeeping) belonging to the other in its original state. - Smile together, but with decent, non-malicious humor. Enquire regularly about the health of the other’s family. - Become uninterested and change the subject if the other starts to say something that is impermissible. - Always discourage the other if they plan to do something wrong. 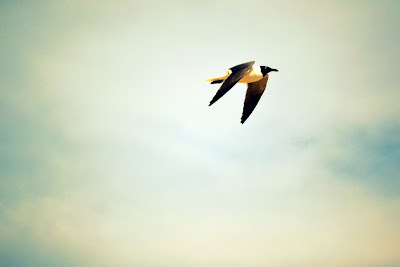 - Always encourage the other if they intend to do a good deed that they’re hesitant to do. - Consult each other in important matters. Give each other advice seriously and sincerely. - Never waste each other’s time in useless activities. Never invite the other to a place or gathering of sin. - Have full trust that they will never reveal secrets or personal problems to others, nor will they gossip about you behind your back. - Address each other in a respectful and loving manner. Forgive each other’s faults and shortcomings, and hide them from others. This list I found here reminded me how much I love and appreciate my friends sisters. 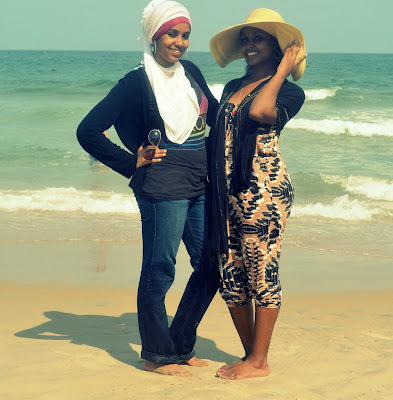 Alhamdulilah, I feel like a lot of the things mentioned here are a reflection of my friendship with my sisters in Islam. 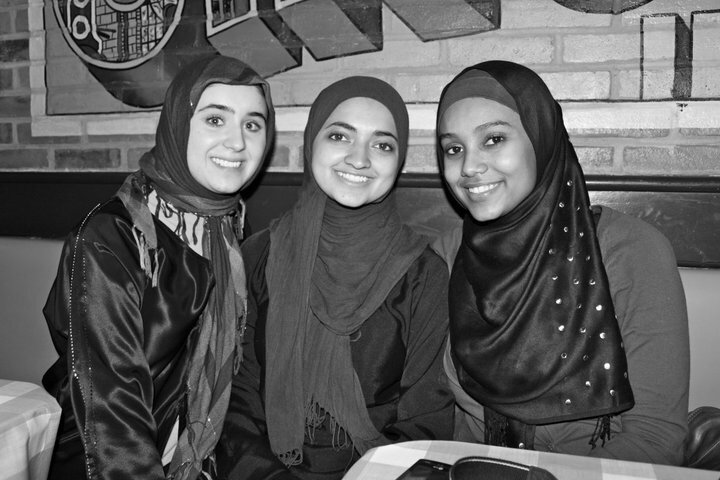 The best thing about my friendship with my girls is our constant remembrance of Allah when we're together. Never in my life have I had friends that truly loved me for the sake of Allah and who truly cared for my well being. They're always there when I need them more than anything and no matter how dire the situation they remind me that the answer to everything is duaa. No matter the distance, may we always be close inshAllah. One of my goals this Ramadan is to finish reading the entire Quran. ﻿The hardest part about finishing the Quran during Ramadan is getting the sourahs organized. If you're overly unorganized, chances are it will become difficult to not procrastinate and fall behind. If we follow this chart that an amazing sister posted online, I think we'll be just fine inshAllah. I'm bored, therefore it's time for a questionare. Definetly fill this out and repost it on your blog. Age: 19, almost 20 years old soon!! How many masaajid have you been to? Ehh like 7 I think. Who are some of your favorite recitors? Mishary Rashid Alafasy is all I can think of right now. MashAllah TabarakAllah, he is blessed with a beautiful voice. What's your usual outift like when you go out? Anything comfortable. Jeans, a cardigan, flats, scarf. What do you like about blogging? I love having a space to discuss anything and everything that comes to my mind. I've always loved writing, so blogging is the perfect way to release the thoughts that inhibit my mind. How do you pin your hijab? Most of the time I wrap it in the traditional style, but sometimes I like to spice it up with the bun and the scarf wrapped around it, with a pair of earrings as accessories. What's something that annoys you at Jummah: I get so annoyed when people talk at jumaa and when people don't pray feet to feet, shoulder to shoulder with me. It really bugs me. What was the last surah you read? (not recited in salah) Sourat al Shams. I finally memorized it alhamdulilah after taking a LONG break from it. Do you brush your teeth for fajr salah? yes, but sometimes only mouth wash.
What color is the rug in the masjid you usually attend? I'm really not that observent. No clue. Have you ever washed a dead body before? no, but mashAllah to anyone that has. Huge blessings and rewards come with that task. What's the weirdest thing that happened to you in salah? Oh man..do I have stories to tell haha. During laylat al qadr last year, I was at the masjid in the middle of the night on no sleep, and I ended up sitting down during prayer cuz my feet hurt and I ended up falling asleep by accident, missing the rest of the salat. What's something haram that you think most people don't know? Plucking your eyebrows. The Prophet pbuh cursed the woman who plucks her eyebrows and the one who has her eyebrows plucked. 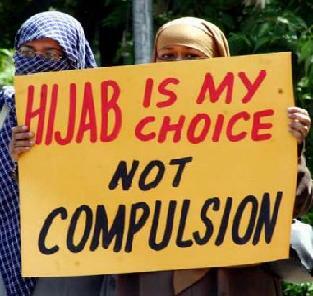 It's one of the hardest things for me to accept as haram because I hate it when my eyebrows grow out and look unkempt. May Allah guide me. What's the craziest hijabi fashion you've seen? The Khaliji style with the gigantic hijab bun. I guess I can see how people find that attractive, but I think it's a little too much. Also, there's the hadith about women with camel hump heads in Hell, which people believe to be the khaliji style, so that can't be good. Favourite flower? Jasmine flowers. They smell so good. Heels or flats? Flats. Can't go wrong with anything comfortable to walk in. Do you drink energy drinks? Only if I have to stay up really late. Most embarrassing moment? haha, I'll pass on this one. I can't think of a decent one to broadcast on the internet. Do you get mad easy? ehh it depends how I'm feeling, but not usually. Any phobias? I always feared scorpians although I've never seen one before and probably won't. Do you bite your nails? Unfortunetly, yes. I've been doing it since forever and can't stop. Have you ever had a near death experience? Does almost drowning in the pool count? lol, deff thought I was gonna die. Do you drink coffee? Like a boss. I'm simply addicted. That's what college does to you. Where is your cell phone? Somewhere underneath all the clutter in this room. Your friends? are the bestest. 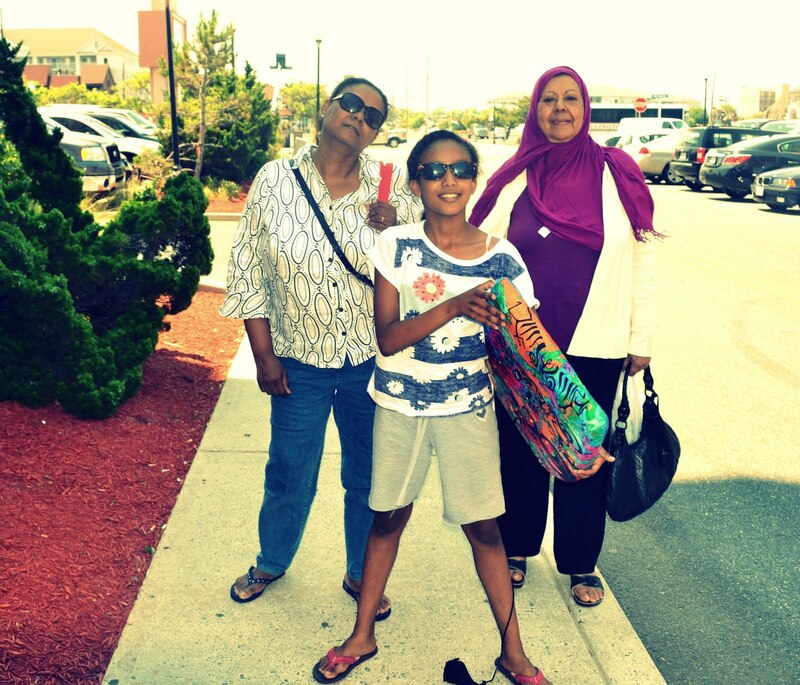 Love my girls to death. MashAllah, he is a representation of the new generation of Muslim leaders. His khutbah is very powerful, almost poetic. He speaks [the truth]. 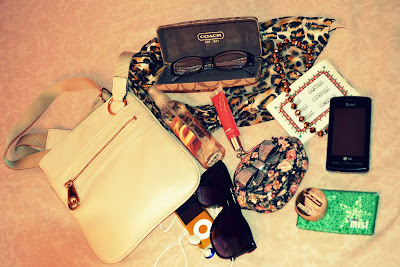 I believe that a woman's purse can say so much about her. Just by looking at a woman's purse, you can learn a lot about her personality. What teaches you more, are the contents of her purse. I'm not one to take all of my possessions with me wherever I go out. Actually, I've been told that my purse is unbelievably empty for a girl. When I go out, I normally take with me my Coach glasses because I'm blind like that lol. It's funny when I purchased the glasses, I didn't notice they were coach, until I got to the register and saw the price :( lol. I also carry my favorite Victoria's Secret lip gloss, my cell phone, ipod, a pack of gum. and of course money! The most sentimental things I like to carry with me are my prayer beads, which are a gift from my grandmother and my little Quran that includes a written duaa for my grandfather [May Allah Bless His Soul]. Whenever I carry these two things, it makes me feel protected. I don't know, the fact that there is a Quran in my purse and prayer beads makes me feel as though I'm safe and the contents in my purse are safe. What don't you ever leave the house without? It's been an incredibly hectic month for me and I've been trying to avoid "publicly" talking about my discrimination incident that occurred to me this month, but I think it's finally time I share my story with you all. Please watch this video, and share it with your friends and family. It will help with the cause of getting AirFrance to change their uniform policy inshAllah!! 1. Contact Air France to ask the airline to apologize, clarify its policy on religious accommodation for employees, offer workplace sensitivity and diversity training for Air France staff at Washington Dulles International Airport, and compensate the Muslim worker for the financial loss and emotional distress she suffered. If your outfit is cute and I have my camera on me..you should run for your life! seriously though, I have a bad habit of stopping my friends and at times complete strangers to ask them to model their outfit for me. My friend Rowan is incredibly stylish and I adore her style (and her!). Her style is casual for the most part and edgy in my opinion. I love it when an outfit looks so well put together but effort less at the same time. Sometimes a pair of jeans, a baggy top, and a bag can simply [make] an outfit. (WASHINGTON, D.C., 6/22/11) – CAIR is calling on American Muslims and other people of conscience to contact Air France and ask the airline to apologize to a Muslim worker at Washington Dulles International Airport who was allegedly sent home because she refused to remove her Islamic head scarf, or hijab. The Muslim employee reported to CAIR that when she went to work as an Air France Passenger Service Agent at the airport earlier this month she was told she could not wear her scarf because of an alleged Air France dress code. The worker refused to violate her religious beliefs and practices by removing her hijab and was promptly sent home. Abbas said CAIR is seeking a formal apology from Air France, clarification of the airline’s policy on religious accommodation for employees, workplace sensitivity and diversity training for Air France staff at Washington Dulles International Airport, and compensation for the financial loss and emotional distress suffered by the worker. He said this case is symptomatic of the overall rise in anti-Muslim sentiment in American society. Title VII of the Civil Rights Act of 1964 prohibits employers from discriminating against individuals because of their religion in hiring, firing and other terms of employment. The act also requires employers to reasonably accommodate the religious practices of the employee, unless doing so would create an "undue hardship" for the employer. CAIR offers a booklet, called "An Employer's Guide to Islamic Religious Practices," to promote better understanding of Islam and Muslims in the workplace. Don't miss out on the blessings of reading Sourat al Kahf every jumaa. You never know how many Fridays you have left, so why take that chance right? I'm not preaching, trust me, I above everyone know how easy it is to get caught up in the duniya and to "forget" to read sourat al kahf. Whenever I get lazy and try to just listen to sourat al kahf rather than sit down, read it, and meditate on it's meaning, I remember this quote by Hamza Yusuf. "The first revelation of the Quran was Iqra not Isma', Read, not listen." That ayah from Sourat al Alaq, speaks for itself and tells you just how important it is to actually read the Quran, instead of listening to it. Not only as a women and gender studies major, but as a woman in general, I am passionate about women's rights. I'm proud to say that today, women in general are achieving higher positions in society. I'm even more proud that Muslim women are among those women that are achieving significant roles in the world. 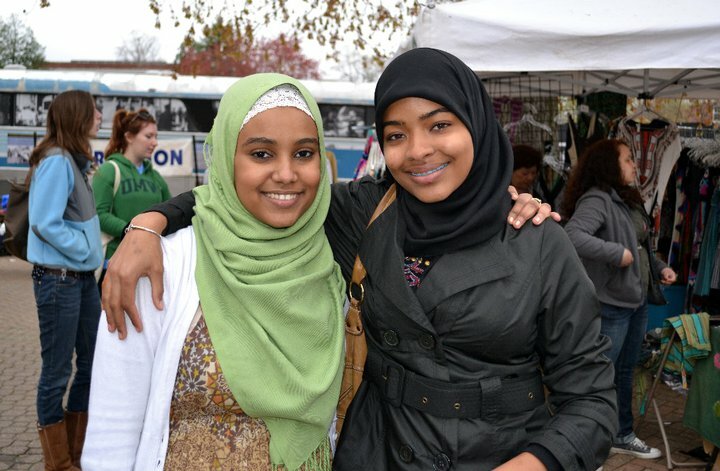 For a long time, I've wanted to share a post about successful Muslim women because I believe that Muslimahs today need more role models to look up to. Although I'm sure Oprah and Beyonce are great people, as Muslim women we need role models that will help us to stay on the straight path. Some of the women I am featuring today are well known, while others may be new to you. Regardless, they are all inspirations and have worked hard to become successful women. I hope that the success of these women will prove to show that Muslim women are not oppressed and are in fact essential assets to society. Muna is a media personality from Saudi Arabia and one of the hosts of Kalam Nawaem, a popular program on MBC Arabic television. The show is hosted by four women, all from different backgrounds, discussing mainly issues concerning women. Issues range from polygamy to divorce to domestic violence. 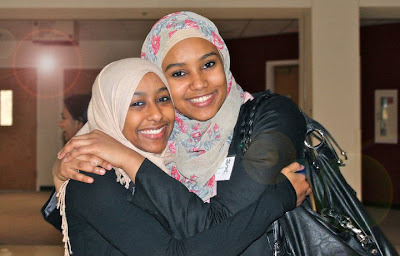 Muna's popularity on Kalam Nawaem earned her the title of the "Saudi Oprah." In 2005, Muna AbuSulayman became the first woman in Saudi Arabia appointed as a Goodwill Ambassador by the United Nations Development Programs. As a popular public speaker, Muna travels internationally speaking at conferences and business meetings. Muna AbuSulayman is truly breaking down barriers, as just until recently, Saudi Arabia had strict rules against women's job choices. As a role model to Muslim women, she is displaying through her actions that it is possible to be a strong woman both in faith and the world simultaneously. 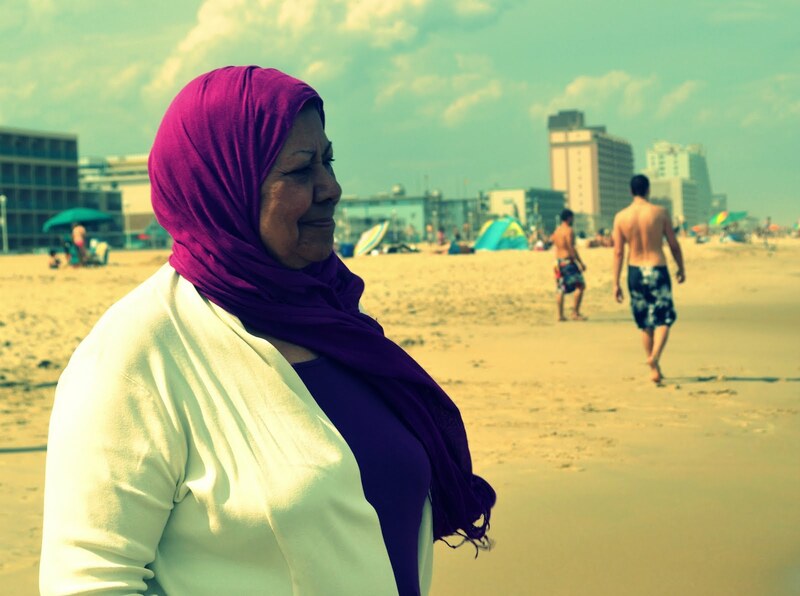 This next inspirational woman may be familiar to you if you watch al-Jazeera news. 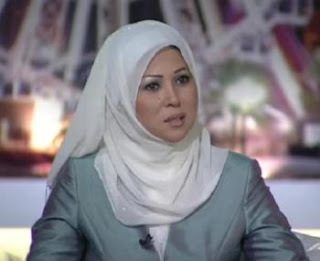 Khadija Ben Ganna is an Algerian journalist and anchor on the news network. I found her to be an inspiration because she made the transition from non-hijabi to hijabi in front of the whole world. After deliberating with herself for three years and "defeating the devil", one day before eid al fitr, Khadija decided to wear the hijab. Unlike many Muslim women in the professional world, Khadija was lucky as to not have to choose between her faith and her profession. "The board of directors' view was that it was a personal matter that would only be evaluated on a professional basis," she said. The decisive moment over wearing the hijab came to Khadija Ben Ganna when she had a one-on-one with Omar Abdul Kafi, an Egyptian Islamic preacher who appears on another al-Jazeera programme. Her Majesty Queen Rania Al Abdullah of Jordan is basically the Middle Eastern version of the late Princess Diana. Besides being a Queen, she is a mother, a wife, a boss, and a humanitarian. Queen Rania doesn't merely hold the title of "Queen." She makes an effort to speak directly with the people of Jordan to find out what they need to improve their lives. Children's education is an important issue to Queen Rania and she has addressed the issue and already made an effort to improve the quality of schooling in Jordan. Queen Rania is also the author of the New York Times Best Seller, 'The Sandwich Swap.' MashAllah this woman pretty much does it all. Her multiple roles still don't compare to her two most important roles as wife and mother. Queen Rania is married to King Abdullah II ibn Hussein of Jordan and has four beautiful children. Hanan Turk is one of my favorite public figures today. She is a famous Egyptian actress and a former ballerina. 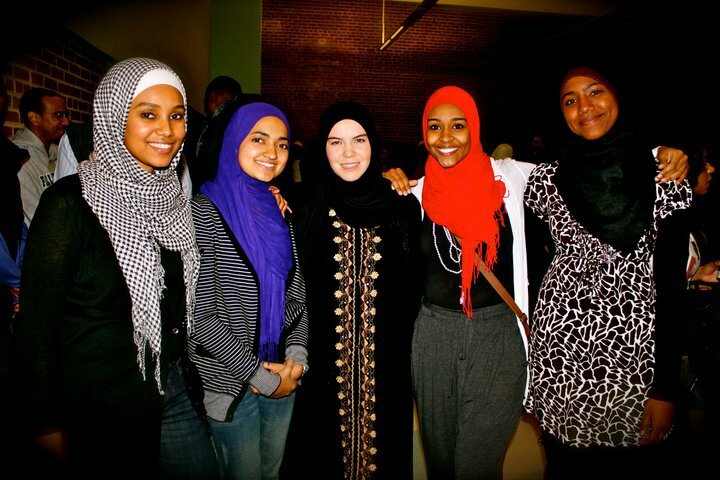 Hanan Turk is so inspirational to me because at the height of her fame, she chose Allah over everything mashAllah. 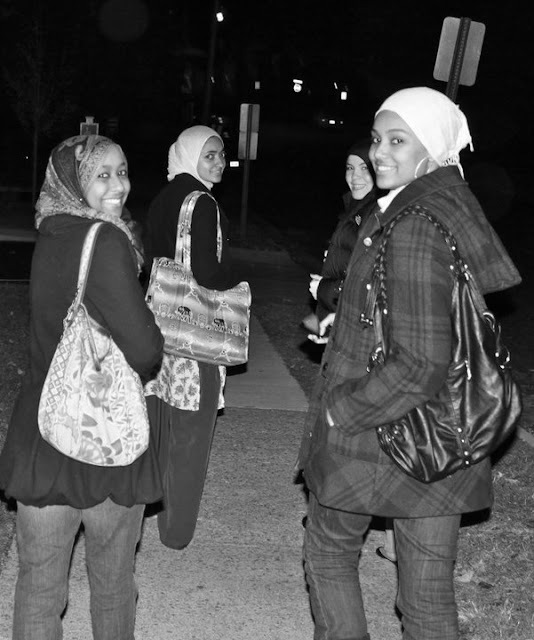 Knowing that she would receive a major pay cut by deciding to wear the hijab, Hanan did not care about worldly matters. After about four years of researching, Hanan made the life changing decision to wear hijab in 2006. When asked why she chose to wear the hijab she said, "I am a celebrity here on Earth, but what I want to be is a celebrity in the eyes of God, in the heavens." Prior to hijab, Hanan was admired by millions of fans in the Arab world. Now, she is admired by a different set of fans world wide. Since 2007, Hanan Turk became an ambassador to Islamic Relief, an International Charity Organization. She has traveled to countries such as Sudan, Iraq, and the United States completing charity work. 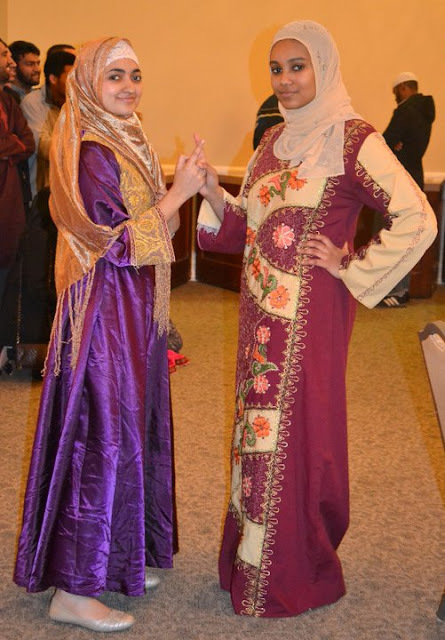 Hanan Turk hopes to be a role model for practicing Muslims everywhere and she also hopes to help the impoverished world. 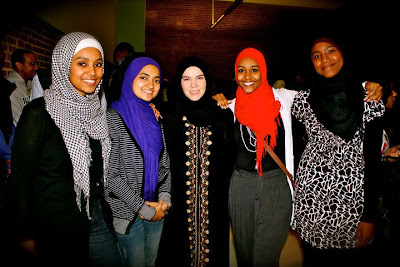 Read the Interview with Hanan Turk on her journey to Hijab!